Advantages include improving safety and reducing the burden of injections. In patients with center-involved diabetic macular edema (DME), treatment with an anti-VEGF agent is my first-line strategy. I administer a minimum of three injections in these individuals and then evaluate their response. For patients who have both improved visual acuity (VA) and reduced edema, I continue with three more injections. Some patients do not show an improvement of VA or reduction of retinal thickening despite anti-VEGF treatment. If such patients have VA of 20/40 or better, they likely will not respond to a different anti-VEGF agent, as was seen in the Diabetic Retinopathy Clinical Research Network (DRCR.net) Protocol T study.1,2 Therefore, in patients who gain fewer than 5 letters and experience less than a 20% reduction in macular thickness, I consider adding a steroid or treating with laser. In my experience, most patients respond to steroids, so I typically take that route first. I introduce laser next, particularly if I do not see dramatic resolution of edema after the use of a sustained-release steroidal agent for 6 to 8 weeks, for example. • In the author’s algorithm, patients with center-involved DME who do not respond to anti-VEGF therapy are treated with steroid, then with tissue-sparing laser. • Adding laser serves to decrease the frequency of anti-VEGF injections while at the same time retaining the effect of the drug. • Large-scale studies comparing new laser technologies to drugs for DME would be instructive. At the sixth injection, I reach a decision point in my algorithm. If, at any step along their treatment path, patients achieve VA of 20/20 and normalized anatomy, I start them on a treat-and-extend regimen with the anti-VEGF agent. If patients have VA improvement to 20/20 and normalized central macular thickness but persistent edema that satisfies the old ETDRS criteria,3 I extend the anti-VEGF treatment interval and add laser. Some of the factors I consider in applying tissue-sparing laser in patients with center-involved DME are listed in the sidebar “Laser Therapy Retreatment Considerations,” below right. Figure. EpM algorithms adjust power and duration simultaneously, maximizing the ability to safely and accurately control the desired endpoints. Figure courtesy of Topcon. 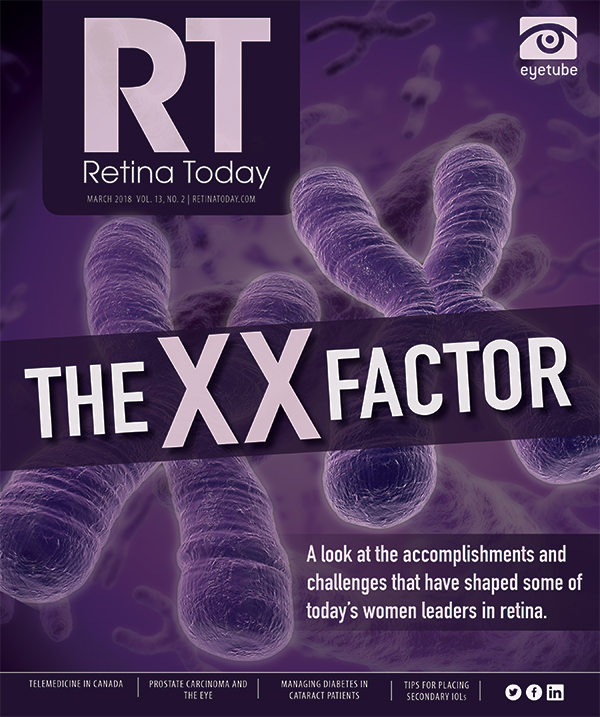 Although new classes of drugs are being developed to treat DME and other retinal pathologies, the use of, or need for, multiple and repeated injected agents will reach a point at which it becomes an obstacle for patients and providers. The efficacy and safety of laser therapy may be underappreciated, and large-scale studies comparing new laser technologies to drugs would be instructive. In my practice, where 25% of patients have diabetes, laser treatment has been extremely beneficial for DME that is not responsive to anti-VEGF therapy. Adding laser to my treatment algorithm reduces the burden of injections and their associated complications and at the same time preserves the benefit of the drug regimen. Reducing the number of injections is also cost-effective. 1. Diabetic Retinopathy Clinical Research Network; Wells JA, Glassman AR, Ayala AR, et al. Aflibercept, bevacizumab, or ranibizumab for diabetic macular edema. N Engl J Med. 2015;372(13):1193-1203. 2. Wells JA, Glassman AR, Ayala AR, et al; Diabetic Retinopathy Clinical Research Network. Aflibercept, bevacizumab, or ranibizumab for diabetic macular edema: Two-year results from a comparative effectiveness randomized clinical trial. Ophthalmology. 2016;123(6):1351-1359. 3. [no authors listed]. Photocoagulation for diabetic macular edema. Early Treatment Diabetic Retinopathy Study report number 1. Early Treatment Diabetic Retinopathy Study research group. Arch Ophthalmol. 1985;103(12):1796-1806. 4. Li AL, Wykoff, CC, Wang RB, et al. Endophthalmitis after intravitreal injection: role of prophylactic topical ophthalmic antibiotics. Retina. 2016;36(7):1349-1356. 5. Diabetic Retinopathy Clinical Research Network; Elman MJ, Qin H, Aiello LP, et al. Intravitreal ranibizumab for diabetic macular edema with prompt vs deferred laser treatment: three-year randomized trial results. Ophthalmology. 2012;119(11):2312-2318. 6. Diabetic Retinopathy Clinical Research Network; Elman MJ, Aiello LP, Beck RW, et al. Randomized trial evaluating ranibizumab plus prompt or deferred laser or triamcinolone plus prompt laser for diabetic macular edema. Ophthalmology. 2010;117(6):1064-1077. 7. Do DV, Schmidt-Erfurth U, Gonzalez VH, et al. The DA VINCI Study: phase 2 primary results of VEGF Trap-Eye in patients with diabetic macular edema. Ophthalmology. 2011;118(9):1819-1826. 8. Palanker D. Evolution of concepts and technologies in ophthalmic laser therapy. Annu Rev Vis Sci. 2016;2:295-319. 9. Lavinsky D, Sramek C, Wang J, et al. Subvisible retinal laser therapy: Titration algorithm and tissue response. Retina. 2014;34(1):87-97. 10. Lavinsky D, Wang J, Huie P, et al. Nondamaging retinal laser therapy: rationale and applications to the macula. Invest Ophthalmol Vis Sci. 2016;57(6):2488-2500.